Why do you need the ID Theft Help app? ITRC’s ID Theft Help free app helps victims and potential victims of identity theft. Ever had your wallet stolen and wanted to know how to protect yourself right away? Or, you just wondered how to protect yourself while using public WiFi. 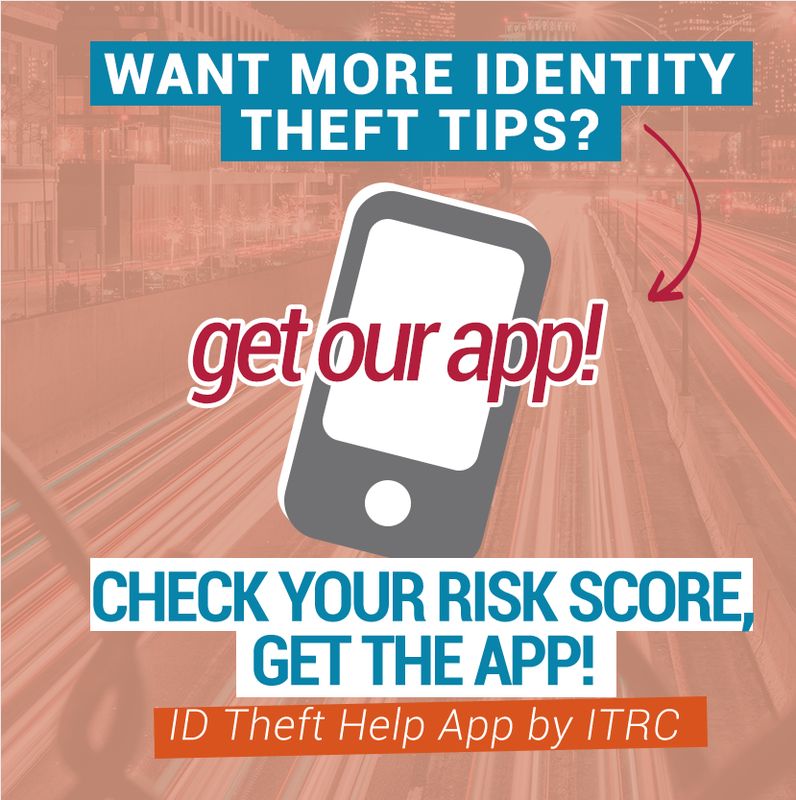 You can learn that and much more right from ITRC’s free ID Theft Help app If you find yourself in a situation you think might be identity theft, now you can track everything about your case right from the app – and keep all your important info in one place. In just a few seconds, you can search for and save agency contact info, catalog any relevant notes, contacts, costs, and time spent working on your identity theft case as you fight to regain your footing. Dial our toll-free hotline directly from the app to speak with an Identity Theft Information Specialist for free help. Or, live chat with a Specialist right on your mobile device. Access the idtheftcenter.org website for solutions to identity theft problems and take quizzes to determine how vulnerable you might be to identity theft.